Detailed review of pluralsight, a famous education platform offering online courses in the fields of: Design, Business and Technology. Get a detailed overview, features and pricing. 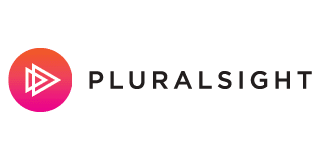 Pluralsight is a learning platform dedicated to technology, design, and business skills. Among its 6,000+ classes, Pluralsight includes content in some specialty areas within technology that are not included in most similar sites, such as drafting and cyber security. All content on the site is created by one of their 1,300+ industry experts, and the 6,000+ courses can be taken individually or as part of a Path, a group of courses organized into a more cohesive unit. Founded in 2004, Pluralsight started out as a training company that sent instructors to business events, but within three years, the focus had shifted to video training online. The company started growing quickly in 2011, and has continued its upward trajectory, ranking on Forbes Cloud 100 list in 2017. Recently, Pluralsight has filed to go public, but that development is still in the works at this point. To take classes on Pluralsight, you’ll need a membership which costs $29/month or $299/year. If you want to try it out first (like we did for this Pluralsight review), you can get a 10-day free trial before you commit to a subscription. Once you’re in, you can choose a course by browsing the eight major categories, or you can try out one of the Paths which bundle similar courses together to cover a broader topic. Classes usually require 1-5 hours while Paths range from 15-90, depending on how many classes are included. Once you pick a class, there will be a series of videos to watch covering the stated topic. Some classes include practice tests or link to Pluralsight’s Iris, a machine learning tool that is unique to this site and offers cutting edge skill and competency measurement. It is important to note that these evaluation tools are not for all classes, but primarily those linked to an external exam or those which teach a specific practical skill that can be measured digitally. Iris is a particular draw when it applies, however, because its AI system allows it to continually improve on its system and give much more detailed feedback than a standard test. Once all parts of a class are completed, you can download a certificate of completion that can be used to prove your competency. Our Pluralsight review concludes that this site is definitely competitive in its field. The price is comparable to other sites with a similar scope (such as Lynda.com), and the instructors are all industry professionals. Overall, classes have fairly high ratings from students, and organizing them into Paths offers some guidance on how to progress through content in an orderly way. When classes are completed, there is a downloadable certificate to show completion, but since the site is not accredited, be sure to check if it will be recognized in your field. Finally, a big pull for Pluralsight is Iris, which is a unique way to measure skills and competencies. While it might be worth doing some looking around to see which sites have exactly the classes you’re looking for, Pluralsight is a great option with some unique features to set it apart from the crowd.